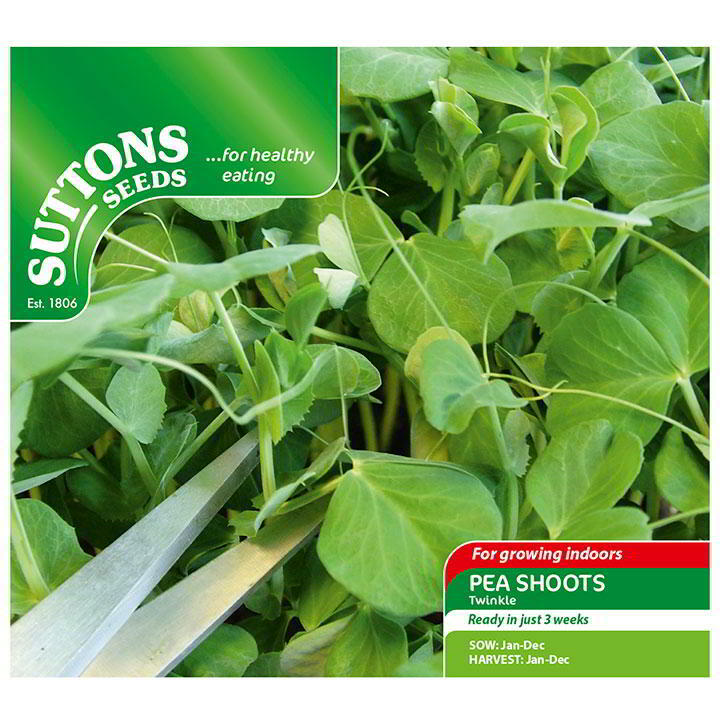 Sow Twinkle in a tray indoors at any time of year and enjoy delicious, crunchy, vitamin packed, pea-flavoured shoots in just 3 weeks. Provides a second picking a few weeks later. Tom says: These super quick crops are packed full of surprising and intriguing flavours that will enthral your taste buds. As well as being loaded with flavour, these little guys are packed full of nutrients to give you a daily vitamin boost. Choose a seed tray or empty food container (having made holes in the base). Pour in some seed compost and level to around half tray depth. 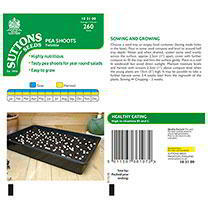 Water and when drained, scatter some seed evenly across the surface, approximately 2.5cm (1”) apart, cover with further compost to fill the tray and firm the surface gently. Place on a well lit windowsill but avoid direct sunlight. 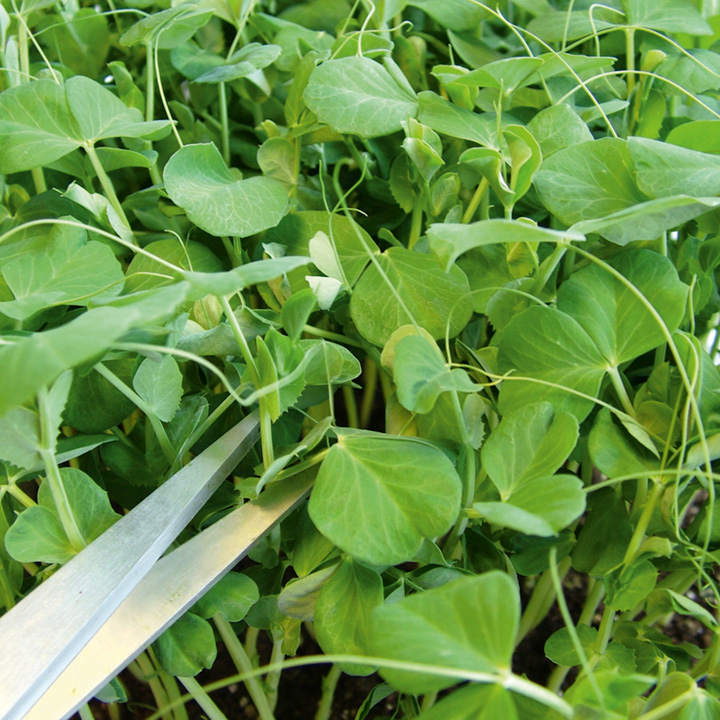 Maintain moisture levels and harvest with scissors 2.5cm (1”) above compost level when the young plants are 13cm (5”) high. 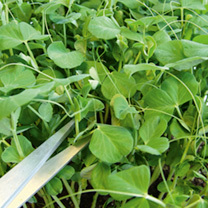 It may be possible to take a further harvest some 3-4 weeks later from the re-growth of the plants. Sowing to Cropping: 3 weeks. Ideal for patio pots and containers, greenhouse. Prefers full sun.